Today’s noteworthy decision is Bible v. Parker Hannifin Corp. Ben. Fund, No. 2:14-CV-05, 2015 WL 3756435 (E.D. Tenn. June 16, 2015), where the court found that the Plan did not deprive Plaintiff of a “full and fair review” of her disability claim because it did not identify the nurse case manager who consulted her claim during the administrative appeals process. The court found notable that the claimant did not specifically ask for this information during the claim and appeals process. This is interesting to us because we see more and more claim representatives signing their letters with just their first name and the first letter of their last name. 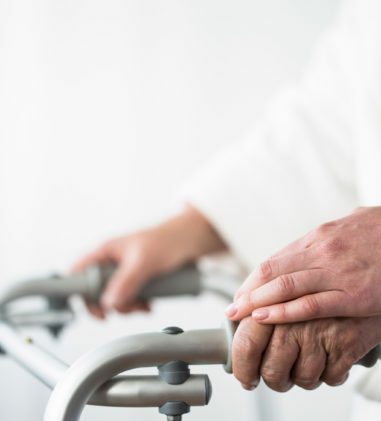 If claims personnel are denying a disability claim – a person’s livelihood – a claimant is entitled to know their name and shouldn’t have to ask for it. Denial of motion to dismiss unpaid pension contributions claim based on “alter ego” theory. In Raso v. Pegasus & Sons Masonry Co., No. CIV.A. 15-10730-ADB, __F.Supp.3d___, 2015 WL 3833737 (D. Mass. June 22, 2015), a matter seeking unpaid pension contributions, Pegasus & Sons Masonry Co., Inc. and Pegasus, LLC filed a motion to dismiss one count of Plaintiff’s complaint which alleged that even though Pegasus, LLC is not a signatory to the collective bargaining agreements, it operates as the alter ego of Pegasus Masonry, and is thus liable for the previous judgment against Pegasus Masonry, as well as Pegasus Masonry’s unpaid contributions accruing after January 2011. Plaintiff alleged that they are both owned and managed by the same individual, operated out of the same building, and that the two companies conduct the same type of contracting business. The court found that these alleged facts indicate common ownership and shared location between Pegasus Masonry and Pegasus, LLC, and similarity of the two companies in terms of management, business purpose, and operation. Because a plaintiff need not allege all possible factors relevant to the alter ego analysis in order to withstand a motion to dismiss and drawing all reasonable inferences in favor of Plaintiff, the court found that the allegations plausibly suggest potential inequities which may further support a finding of alter ego liability. Religious Freedom Restoration Act’s requirement regarding contraceptive services is not a substantial burden. In E. Texas Baptist Univ. v. Burwell, No. 14-10241, __F.3d___, 2015 WL 3852811 (5th Cir. June 22, 2015), a consolidated matter challenging the Religious Freedom Restoration Act (“RFRA)’s requirement that religious organizations either offer their employees health insurance that covers certain contraceptive services or submit a form or notification declaring their religious opposition to that coverage, the Fifth Circuit reversed the district courts’ holding that the requirement violates RFRA or, in one case, that Plaintiffs had demonstrated a substantial likelihood of establishing that it does. The Fifth Circuit found that Plaintiffs have not shown and are not likely to show that the requirement substantially burdens their religious exercise under established law. The court considered the extent to which the courts defer to a religious objector’s view on whether there is a substantial burden. The inquiry has three components: (1) What is the adherent’s religious exercise? (2) Does the challenged law pressure him to modify that exercise? (3) Is the penalty for noncompliance substantial? With respect to the second question, the court agreed with its sister circuits that have considered contraceptive-mandate cases: the court makes the decision as to whether the challenged law pressures him to modify that exercise. The court found that although Plaintiffs have identified several acts that offend their religious beliefs, the acts they are required to perform do not include providing or facilitating access to contraceptives. Further, Plaintiffs have no right under RFRA to challenge the independent conduct of third parties. Because the court did not find substantial burden, the court did not reach the strict-scrutiny prong or the other requirements for an injunction. In Meyer v. Unum Life Ins. Co. of Am., No. CIV.A. 12-1134-KHV, 2015 WL 3843676 (D. Kan. June 22, 2015) (Not Reported in F.Supp.3d), after the court ruled in favor of Plaintiff on his long-term disability claim, Plaintiff sought an award of costs and fees of $98,850. Unum stipulated that it will not contest an award of costs and fees of this amount, but reserved the right to seek reversal of the award if the court’s ruling on the merits is overturned or materially altered on appeal. The court granted Plaintiff’s request. In Withrow v. Bache Halsey Stuart Shield, Inc. Salary Prot. Plan (Ltd), No. 13-55812, __Fed.Appx.___, 2015 WL 3757718 (9th Cir. June 17, 2015), the Ninth Circuit affirmed the district court’s Findings of Fact, Conclusions of Law and Order, finding that Reliance did not err in calculating Plaintiff’s “monthly earnings” by including the 24 months of salary preceding Plaintiff’s date of disability, even though Plaintiff was disabled for several of those months and received salary continuation pay (but not commissions), because the plain language of the Plan is unambiguous that the “preceding 24 month period” applies to that time period immediately preceding an employee’s disability; the only basis for applying a period less than 24 months is if the employee was not employed for the full term. In Arnold v. Aetna Life Ins. Co., No. 5:14-CV-44-DCB-MTP, 2015 WL 3794894 (S.D. Miss. June 17, 2015), the court found that there was substantial evidence to support Aetna’s position that Plaintiff is not disabled as a result of Lyme Disease or Fibromyalgia and granted summary judgment in its favor. The court found that Aetna’s peer reviewer, Dr. Bowman, conducted a thorough and adequate review of Plaintiff’s claim, including review of the treating doctor’s treatment and diagnoses, and found insufficient evidence to support the treating doctor’s findings. 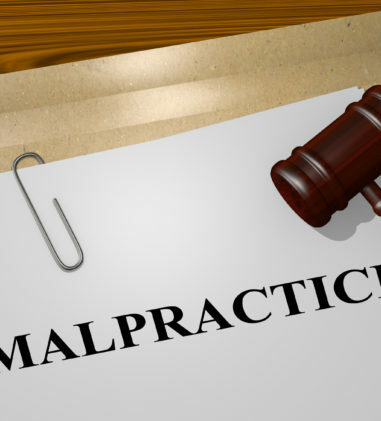 The court explained that the Fifth Circuit “has held that an administrator does not abuse its discretion when it relies on the medical opinion of a consulting physician whose opinion conflicts with the claimant’s treating physician. This is so even if the consulting physician only reviews medical records and never physically examines the claimant, taxing to credibility though it may be.” The court found that Plaintiff abandoned her claim for disability based on chronic fatigue syndrome because she did not address Aetna’s argument that this condition is barred by the pre-existing condition exclusion in her response to Aetna’s motion. In Bible v. Parker Hannifin Corp. Ben. Fund, No. 2:14-CV-05, 2015 WL 3756435 (E.D. Tenn. June 16, 2015), the court found that the Plan did not deprive Plaintiff of a “full and fair review” of her claim because it did not identify the nurse case manager who consulted her claim during the administrative appeals process where Plaintiff never requested such information prior to filing her suit. Even if it did, at best, Plaintiff would be entitled to a remand to pursue the merits of her claim. Because the court concluded that Defendant substantially complied with the twin purposes of § 1133, remand is not necessary. 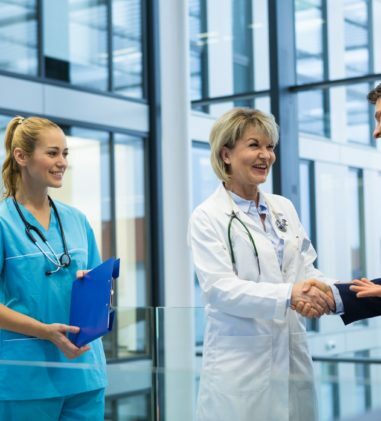 Additionally, Defendant’s exclusive reliance on the opinion of a physician that never physically examined her was not arbitrary and capricious, where Plaintiff’s treating physician presented completely contradictory opinions as to her condition just two days apart. In Spear v. Fenkell, No. CIV.A. 13-02391, 2015 WL 3822138 (E.D. Pa. June 19, 2015), the plan fiduciaries in this case had the extraordinary task of investigating and then litigating against a former trustee accused of fiduciary violations, who also happened to be an ESOP participant. The court declined to apply the fiduciary exception to the attorney-client privilege in this matter where Defendant, the former Trustee of the ESOP, CEO of Alliance, and also ESOP participant, sought documents and information subject to the attorney-client privilege. Applying the divergence of interests test, the court found a pronounced conflict of interest between the parties. 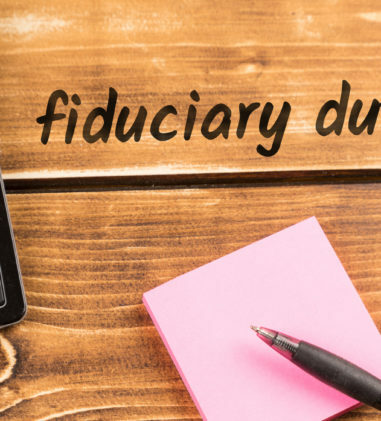 The fiduciaries were put on notice at least at the time of the Chesemore decision of fiduciary violations by Defendant. The court found that the presence of this conflict weighs decisively in favor of rejecting the fiduciary exception and retaining the evidentiary privilege. In Jungles v. IBEW Local 134, No. 15 C 3329, 2015 WL 3855658 (N.D. Ill. June 18, 2015) (Not Reported in F.Supp.3d), the court found that Plaintiff’s state law claim is not preempted by ERISA, the court has no jurisdiction, and remand is proper. Plaintiff alleged that he was a participant in the electrical apprenticeship program run by EJATT. On September 8, 2008, the parties entered into a written apprenticeship probation agreement (“Probation Agreement”) reinstating Plaintiff’s participation in the electrical apprenticeship program. Plaintiff was eventually terminated due to a poor evaluation. He filed suit alleging that his termination from the program breached the terms of the Probation Agreement, resulting in economic damages of ongoing lost wages. Since Plaintiff’s claim centers on the Probation Agreement and he does not seek access to the fringe benefit program, his claim is not preempted. In Kinzie v. Bank of New York Mellon Corp., No. 1:14-CV-1191 GLS/CFH, 2015 WL 3795793 (N.D.N.Y. 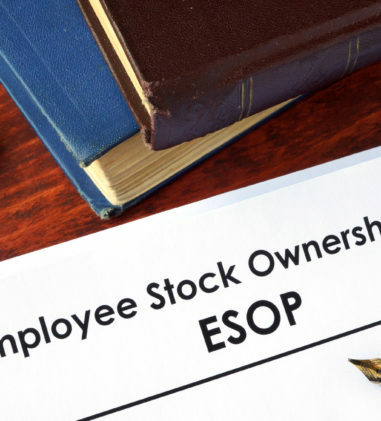 June 17, 2015), the court found Plaintiff’s breach of contract claim, which seeks an order directing BNYM to issue him a lump-sum payment of the survivor benefits under the ESOP, to be preempted by ERISA. In Sender v. Franklin Res., Inc., No. 13-15502, __Fed.Appx.___, 2015 WL 3727732 (9th Cir. June 16, 2015), the court found that Plaintiff’s claim under Cal. Corp.Code § 419(b) was not preempted by ERISA because the duty under that statute to replace a lost stock certificate is placed on the corporation issuing the shares. The claim does not require any interpretation of ERISA plan terms. The district court can exercise supplemental jurisdiction over this claim since it arises from the same “case or controversy” as Plaintiff’s ERISA claim. In Cannon v. Aetna Life Ins. Co., No. 14-CV-12546, 2015 WL 3766923 (D. Mass. June 17, 2015), the court declined to dismiss Plaintiff’s suit, finding that he could not have reasonably exhausted his administrative remedies with respect to his long-term disability claim since Aetna did not issue a formal written denial in compliance with the Regulations (or any written decision at all). 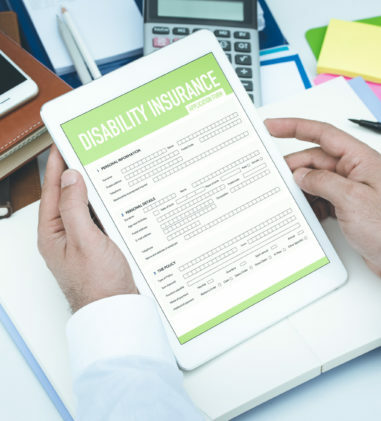 However, the court stayed the case pending resolution of Plaintiff’s other lawsuit involving his short-term disability claim since its disposition may affect his LTD case. In Rohrbaugh v. Cigna Health & Life Ins. Co., No. 1:15-CV-613 JCC/TCB, 2015 WL 3774528 (E.D. Va. June 17, 2015), the court dismissed without prejudice Plaintiff’s complaint seeking reimbursement for “out-of-network coverage of fees” in the amount of $3,738.69 from a self-funded health plan, where there was no indication from the pleadings that Plaintiff has started the administrative process, much less exhausted it, or any showing of futility that would otherwise circumvent the exhaustion requirement. In Pearce v. Chrysler Grp., L.L.C. Pension Plan, No. 13-2374, __Fed.Appx.___, 2015 WL 3797385 (6th Cir. June 18, 2015), an action to recover supplemental retirement (“30-and-Out”) benefits from Defendant-Appellee Chrysler Group L.L .C. Pension Plan (“Plan”), the Sixth Circuit reversed and remanded the district court’s finding that the Summary Plan Description did not materially conflict with the Pension Plan, and therefore any motion to amend the complaint to seek equitable relief under ERISA § 502(a)(3) would be futile. The court affirmed the district court’s grant of summary judgment to the Plan, denial of Plaintiff’s request for discovery, and striking of Plaintiff’s reply brief filed in opposition to the Magistrate Judge’s Report and Recommendation. In OWENS v. ST. ANTHONY MEDICAL CENTER, INC., No. 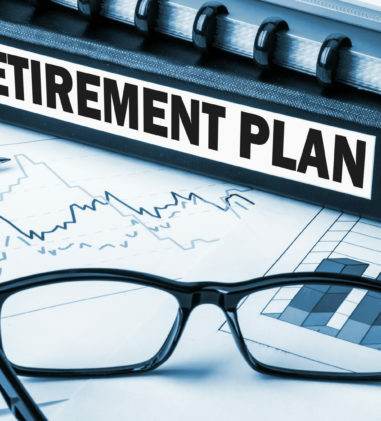 14-CV-4068, 2015 WL 3819086 (N.D. Ill. June 18, 2015) (Not Reported in F.Supp.3d), the court stayed Defendant’s motion to dismiss Plaintiffs’ claim challenging the retirement plan’s “church plan” status pending the Seventh Circuit’s decision in Stapleton v. Advocate Health Care Network, No. 14-cv-01873, 2014 WL 7525481 (N.D.Ill.Dec. 31, 2014), where the court certified the following question for interlocutory appeal: In order for an employee benefit plan to qualify as a “church plan” under ERISA, 29 U.S.C. § 1003(b)(2) and § 1033, must the plan be established by a church (or by a convention or association of churches)? In Green v. Baltimore City Bd. of Sch. Comm’rs, No. CIV.A. WMN-14-3132, 2015 WL 3795908 (D. Md. June 17, 2015), the court granted Plaintiffs’ motion to amend their complaint to reflect the following changes: (1) to substitute the Public Health Services Act, 42 U.S.C. § 300bb-1 et seq. (PHSA) rather than the Employee Retirement Income Security Act of 1974 as the foundation for their claims and (2) to include a class action claim against the Board (Count III). The court also granted Plaintiffs’ request for a limited class discovery period of 45 days, after which they may seek class certification. The court found that Plaintiffs adequately plead a class that could survive a Motion to Dismiss and it declined to reach the merits of Plaintiffs’ class claim in the absence of a fully briefed motion to certify a class. In Langone v. Son, Inc., No. CIV.A. 12-11717-GAO, 2015 WL 3744419 (D. Mass. June 15, 2015), Plaintiff Charles Langone, the manager of a pension fund, brought an ERISA action to enforce an arbitrator’s decision that Defendant Son, Inc., is jointly and severally liable with others for amounts due because of a subscriber’s withdrawal from the fund. Langone also sued two of Son, Inc.’s shareholders, (“the Hudson defendants”) under the New Jersey Uniform Fraudulent Transfer Act, to recover proceeds from sales of Son Inc.’s property. The court agreed with Defendants that regardless of whether the ERISA claim against Son Inc. and the Fraudulent Transfer claim against the Hudson defendants share a “nucleus of operative fact,” pendant personal jurisdiction is inapplicable here because the fund did not bring a federal claim against the Hudson defendants. (The pendent personal jurisdiction doctrine, where a federal statute authorizes nationwide service of process, and the federal and state claims derive from a common nucleus of operative fact, the district court may assert personal jurisdiction over the parties to the related state law claims even if personal jurisdiction is not otherwise available.) The court dismissed the claims against the Hudson defendants for lack of personal jurisdiction. In Electrostim Med. Servs., Inc. v. Health Care Serv. Corp., No. 13-20649, __Fed.Appx.___, 2015 WL 3745291 (5th Cir. June 16, 2015), the court held, among other things, that Plaintiff can assert non-preempted state-law claims based on the rate at which these claims were partially paid. 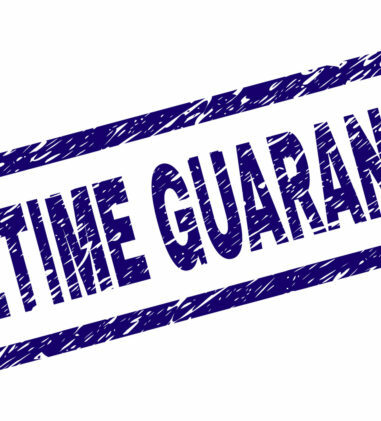 ERISA does not preempt state-law claims based on an allegedly improper rate of payment in violation of a provider agreement and because Plaintiff can amend its complaint to put at issue the rate at which BCBSTX paid the partially paid claims, amendment would not be futile. Thus, the district court erred when it denied leave to amend the state-law claims. On remand, Plaintiff should be permitted to amend its state-law claims to include its non-preempted rate-of-payment theory. The court held that the district court correctly dismissed Plaintiff’s ERISA claim because it provided no factual support for its allegation that it is a participant or beneficiary as defined in ERISA. Plaintiff also did not plausibly allege that it was an assignee entitled to assert a claim under Section 502(a)(1)(B). Plaintiff raised the argument regarding assignments from its patient in its reply brief and thus waived its challenge to the district court’s denial of leave to amend. In Grand Parkway Surgery Ctr., LLC v. Health Care Serv. Corp., No. CIV.A. H-15-0297, 2015 WL 3756492 (S.D. Tex. June 16, 2015), Plaintiff, an out-of-network medical provider that offers ambulatory surgical services to patients in both private and employer sponsored health benefit plans, filed suit against Health Care Service Corp. (“HCSC”) for underpayment of 293 claims which totaled $5,728,446.91. Plaintiff alleged a claim for benefits and breach of fiduciary duty claims under ERISA along with state law claims. 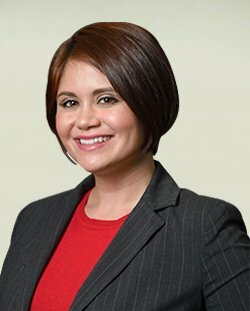 On HCSC’s motion to dismiss, the court denied its motion to dismiss the Section 502(a)(1)(B) claim since Plaintiff alleged the specific plan terms it believes confer the benefits it seeks even though it did not distinguish between claims based on ERISA plans and claims based on private plans. The court granted HCSC’s motion to dismiss the breach of fiduciary duty claim because Plaintiff also asserted a claim to recover benefits under Section 502(a)(1)(B). The court dismissed Plaintiff’s Section 503 claim because Plaintiff did not allege that HCSC is the Plan nor can the court infer that HCSC is the Plan. Lastly, the court dismissed Plaintiff’s Section 502(c)(1) claim because Plaintiff did not allege that HCSC is the Plan Administrator rather than the separate Claims Administrator. In Becknell v. Severance Pay Plan of Johnson & Johnson & U.S. Affiliated Companies, No. CIV.A. 13-4622 FLW, 2015 WL 3823325 (D.N.J. June 19, 2015), Plaintiff applied for severance benefits three years after he left work due to disability and began receiving long-term disability benefits. The Plan denied the claim, finding that his termination from employment did not result from one of the severance events enumerated in Article 4.1a of the Plan. This provision provided benefits to regular full-time or part-time employees who are terminated due to position elimination; an inability to meet the requirements of his or her position (as determined by management); reduction in force; or for such other reasons as the Pension Committee may, in its sole discretion, deem appropriate.” The Plan also determined that Plaintiff’s loss of LTD eligibility in 2009 could not constitute a Severance Event resulting in eligibility for plan benefits because Plaintiff’s employment had already ended. The court found that Defendants’ interpretation of the Severance Plan, which excludes employees who have received long-term disability payments from also receiving severance benefits, is reasonable and not arbitrary and capricious. The court denied the motion for class certification as moot. In Becknell v. Severance Pay Plan of Johnson & Johnson & U.S. Affiliated Companies, No. CIV.A. 13-4622 FLW, 2015 WL 3823325 (D.N.J. June 19, 2015), although Defendant did not issue a timely decision on Plaintiff’s appeal of the denial of severance plan benefits, the court declined to apply de novo review and the rationale of Gritzer v. CBS, Inc., 275 F.3d 291 (3d Cir. 2002) to Plaintiff’s claim because in Gritzer there was no evidence in the record that the defendant committee made any determination, but here, Defendants’ Claims Administrator made an initial determination providing the reasons for denying Plaintiff’s severance request, and it ultimately did decide Plaintiff’s appeal (albeit late). Because the record included both the decisions of the Committee and the Claims Administrator and their construction of the Severance Plan, the court found that it should defer to the analysis conducted by the administrator. In Reynolds v. Merrill Lynch Basic Long Term Disability Plan, No. CIV. 15-00109 JMS, 2015 WL 3822319 (D. Haw. June 19, 2015) (Not Reported in F.Supp.3d), the court found that Plaintiff’s document penalty claim under 29 U.S.C. §1132(c) accrued thirty days after Plaintiff made his written request for Plan documents and Defendants failed to provide the requested information. The parties agreed that the most analogous statute of limitation under Hawaii law is Hawaii Revised Statutes (“HRS”) § 657-1, which provides a six-year statute of limitation for “personal actions of any nature whatsoever not specifically covered by the laws of the State. Plaintiff first requested the documents in writing in January 2004 but did not file his Complaint until ten years later. 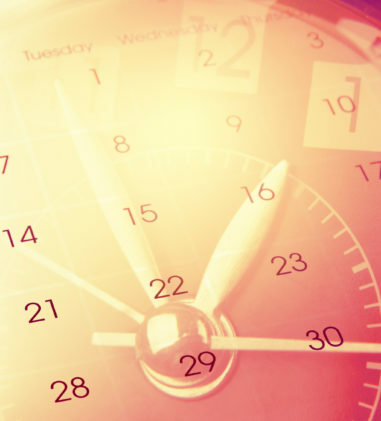 The court granted Defendant’s motion to dismiss on the basis that Plaintiff’s claim is time-barred, rejecting Plaintiff’s argument that the claim accrues only when there is an express and unequivocal denial of benefits or that the continuing violation doctrine applies to his claim. In Anderson v. Celadon Trucking Servs., Inc., No. 1:13-CV-01610-TWP, 2015 WL 3827726 (S.D. Ind. June 19, 2015), a matter involving an insured plan providing long term disability benefits, Plaintiff alleged that Defendant, her former employer, is liable under § 1132 for failure to comply with a request for information, specifically verification of her employment and/or coverage status. The court found that there is nothing in § 1132 that places such an obligation on the owner of a plan, only the administrator. Plaintiff did not dispute the fact that Celadon was the owner of the Plan and Prudential was the administrator. The court held that because there is no dispute that Celadon is not the Plan administrator, it cannot be held liable under § 1132 for its alleged failure to provide information to either Plaintiff or Prudential, and Celadon is therefore entitled to summary judgment and dismissal of Plaintiff’s claims. In Trustees for the Mason Tenders Dist. Council Welfare Fund, Pension Fund, Annuity Fund, Training Program Fund v. YES Restoration, No. 14 CIV. 8536 KPF, 2015 WL 3822764 (S.D.N.Y. June 19, 2015), the court granted Petitioner’s motion for summary judgment on its petition to confirm the arbitration award. Respondent did not oppose the petition or otherwise appear in this action. In Cent. States, Se. & SOUTHWEST areas Pension Fund v. Northville Racing Corp., No. 14 C 7184, 2015 WL 3818650 (N.D. Ill. June 18, 2015) (Not Reported in F.Supp.3d), an action seeking withdrawal liability, the court denied Defendants’ motion to dismiss as to Karoub Family Investments, finding that it could plausibly infer from Plaintiff’s brief allegations that Karoub Family Investments, a limited liability company under the common control of the Karoub Controlled Group, is a trade or business. However, the court granted Defendants Alice Karoub and Karoub Trust, finding that Plaintiff did not allege that they received income or profit from the properties and engaged in any conduct additional to leasing the property, let alone continuous or regular activity, from which the court could infer that Alice Karoub and Karoub Trust are a trade or business. In Trustees of New York City Dist. Council of Carpenters Pension Fund, Welfare Fund, Annuity Fund v. Vintage Tile & Flooring, Inc., No. 14-CV-06450 KBF, 2015 WL 3797273 (S.D.N.Y. June 18, 2015), the court granted default judgment to the Fund, finding that the facts alleged in the complaint support Defendants’ liability under ERISA § 515 and Vintage 2’s liability for Vintage 1’s obligations under a previous judgment. The court declined to award the Funds $252,300 in damages based on the sanctions imposed in the prior action. In Wilson v. Bill Hawk, Inc., No. 2:15-CV-1039, 2015 WL 3755973 (S.D. 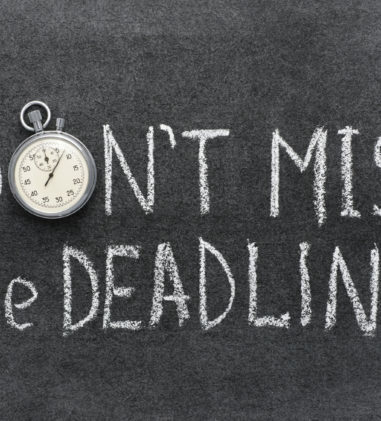 Ohio June 16, 2015), the court recommended that default judgment be granted to Plaintiffs on their claim that although Defendant paid the delinquent contributions in full, it still owes late charges for interest which accrued before it paid the delinquent contributions. The court recommended that judgment be entered against Defendant in the amount of $9,881.69 in accumulated interest and $2,090.00 for attorneys’ fees and costs.